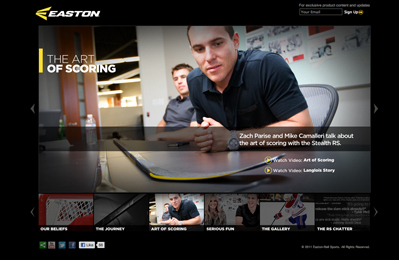 A few months back I spent the day in Northern California with Zach Parise and Mike Cammalleri as they toured Easton Bell and got to see how helmets are made. 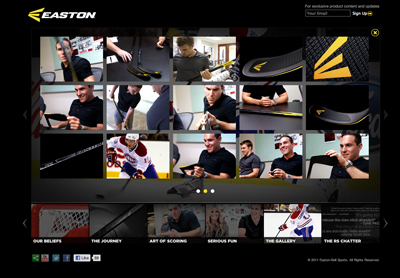 Here are a few screen grabs from the new website. Both of these guys are great to work with.